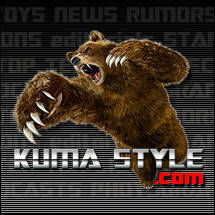 Toy Nippon: BBTS News: Transformers, Star Wars, Age of Ultron, Harry Potter, Spider-Man, Batman, Predator & More! 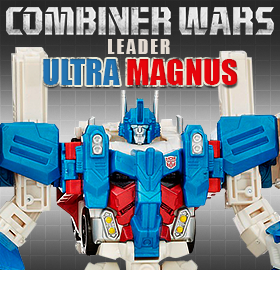 BBTS News: Transformers, Star Wars, Age of Ultron, Harry Potter, Spider-Man, Batman, Predator & More! 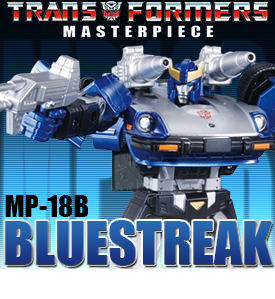 The new MP-18B Bluestreak lives up to his name! He transforms from robot to a Nissan Fairlady 280Z-T and stands nearly 6” tall in robot mode. Bluestreak comes with his laser rifle and is listed for $79.99. Each Transformers Warriors figure comes with a unique weapon accessory or battle-action feature and converts between modes in less than 10 steps. Scan the figure to unlock a character and weapon for battle in the Transformers: Robots in Disguise app! Series 03 brings two new figures to the battle with Sideswipe and Jazz in a Set of 2 for $35.99 plus Drift is now available individually for $17.99! We also have the Case of 8 listed for $114.99. Ceratosaurus Dentisulcatus was around 8-9 meters long, which makes this amazing 1:35 scale replica about 10.50" long. It has an articulated lower jaw like all other REBOR dinosaurs. Savage comes with a polystone swamp diorama base with realistic plants, dead trees, mud effect and even a puddle that’s made of transparent resin to create real water effect. This Bumblebee figure stands just over 6” tall and is composed of 110 parts, 24 of which are made of alloy. Bumblebee has 32 points of articulation with an LED light up feature, 7 interchangeable hands, the Temenos Sword and Sentinel Shield. Everyone’s favorite dysfunctional family is now available in Pop! vinyl format! In this first wave we have the faithful and snarky family dog Brian, the disaster prone patriarch Peter, and two versions of the evil genius Stewie—either with helmet and ray gun or holding hands with his teddy bear named Rupert. The Dukes of Hazzard classic television series celebrates the good ol' USA, so get ready for action - Hazzard County style! Series 02 includes: Uncle Jesse, Cooter, Cletus, Enos, and Daisy Duke. Each figure includes an authentic cloth outfit and packaged inside of a resealable plastic clamshell. We have the set of 5 for $124.99 as well as Daisy and Uncle Jessie for $29.99 each. These new plush figures by Takara Tomy Arts have highly detailed stitching and costumes and will be a great addition to any plush or Star Wars collection! Turned cyborg by his father after being mortally wounded in a laboratory accident, Hiroshi Shiba battles the minions of Queen Himika to save the world and preserve his father’s legacy in the super robot anime and manga series Kotetsu Jeeg. This 7-inch tall version of Steel Jeeg comes with alternate hands and a variety of weapons to create action poses on the included base stand. Gaming Heads is proud to present the Bull Netch plush from The Elder Scrolls Online! Featuring high quality cloth materials and a cute design, the nearly 12” tall Bull Netch plush will be an awesome addition to your video game accessory collection. Poseidon is a huge human-shape robot with a laser gun in one finger and a torpedo launcher in its abdomen and can be summoned from the depths of the ocean by the boy hero, Koichi to defend the earth in the anime series called Babel II. This nearly 7-inch tall Poseidon figure is in the original color scheme from the series and comes with alternate hands, torpedoes and mini figures of Koichi and his protector, the shape-shifting black-panther named Rodem. This is the 9th installment of Mobile Suit Gundam Assault Kingdom series that focuses on dynamic action poses. It features Gundam G-Self, Hambrabi, 2 different Kampfer units, and Gundam Mk-II (in A.E.U.G. color)'. The Kampfer units feature either a weapon load out of Chain Mine, Panzerfausts with shotgun, or twin giant bazookas with shotgun. This box of 10 is randomly packed so we cannot guarantee which figures you will receive. Check out the new listings from iCup Inc. Serve tasty beverages in style with the Age of Ultron Pint Glass Four Pack for $29.99; or the Caped Molded Ceramic Pint Glasses of Superman, Batman, and Wonder Woman for $11.99 each. Whether grilling, cooking, baking, or just lounging around, you can become Batgirl, Harley Quinn, or Supergirl when you tie on one of the Character Aprons for $19.99 each. Collect them all or choose your favorites in this list of over 40 items! Dr. Wu brings you an adorable little dinosaur robot, first in the new Dr. Q lineup. He’s sculpted in the super-deformed styling and is made so that upcoming robots by Dr. Q can go for a ride! Guts, the Black Swordsman of the dark fantasy masterpiece “Berserk” is styled after the "Lost Children" chapter of the Conviction Saga. This 1/6 scale pre-painted figure is approximately 15" tall including his sword, Dragon Slayer. You can choose from two different head sculpts "glaring expression" and "laughing expression" to customize your display. Continuing the wildly popular line of Revoltech Micro figures is the rmex-002 TPP Soviet Soldier. This figure stands nearly 5” tall and comes with an array of weapons and accessories. This fully poseable and furry Combat Gizmo prop-size figure by Medicom comes with a bandanna, bow and arrow, armband and flame effects. This cute and cuddly mogwai is ready for a fight! Bring him home, but remember the three rules…..never expose him to bright light, never let him touch water, and never feed him after midnight! His name is Barry Allen and he's the fastest man alive! But what is Central City's favorite speedster without his arch nemesis Captain Cold?! Joining the ever expanding Pop! and ReAction lineup are the characters from the new hit CW series The Flash. We have The Flash, Reverse Flash, and Captain Cold in both formats. Kotobukiya's ARTFX+ lineup of DC Comic Super Heroes based on the classic SUPER POWERS line of the 1980's continues with Green Lantern! This articulated statue recreates the look of the classic action figure in 1/10 scale. Green Lantern stands ready for action in a classic power pose, holding the lantern that charges his ring. 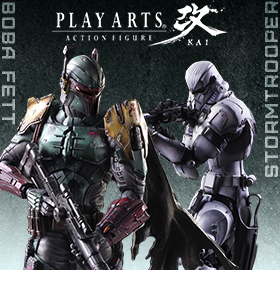 We have added three preorders to the Legacy of Revoltech lineup! Evangelion fans and collectors will be excited to get their hands on the LR-037 EVA-03 Production Model and the LR-038 EVA-01 Test Type both listed at $44.99 each. If Fist of the North Star is more your style, you can show off the dynamic fighting style of Kenshiro. Storm Collectibles brings you this authentic and highly detailed Dennis Rodman figure based on his style in the mid-1990s. This set includes 2 complete bodies, interchangeable hair pieces, interchangeable hands, a pair of sunglasses and two signature outfits along with a figure stand that includes a nameplate. Presented for the first time in a large-scale format, this intricately detailed model of the Aliens APC is in glorious 1:18 scale, measuring a very impressive 20" long! The APC features moveable gun turrets and rotating wheels, and is authentically weathered for added realism. It is complete with a separate Aliens themed display base, designed to replicate the floor tiles of the Sulaco. This showpiece is constructed from heavyweight polystone and then hand painted to the finest detail. From inside the heavily fortified walls of a sprawling district in the heart of Gotham City comes Two-Face, the latest villain to add to your collection! This Two-Face figure as seen in the hit Arkham City video game is 6-inches tall and comes with a hand gun with his signature coin clutched in his right hand. Based on his likeness in the hit video game Arkham City, Ra’s al Ghul is clad in elaborate black and gold attire and features multiple points of articulation, character-specific accessories, and a display base. This aftermarket accessory kit from Keith’s Fantasy Club includes a pair of poseable hands with 30 articulated joints and a screw driver for installation on the sinister robot that transforms into a cassette player! The monstrous Clayface can take any shape—including this brand new form based on the villain’s appearance in the hit video game Batman: Arkham City. At over thirteen inches tall, the Batman: Arkham City Clayface Deluxe Action Figure is the largest action figure that DC Collectibles has ever produced. With eleven points of articulation, switchable arms, and an interchangeable head, Clayface will tower over the rest of your collection! This 1/6 scale, 11-inch tall statue features Julie Newmar as Catwoman from the 1960s Batman television series and she is leaning on a golden Egyptian cat statue while holding a large gemstone in her right hand. The 13th series of NECA’s longest running figure collection is homage to the classic Kenner Expanded Universe Predators of the early 1990s! These highly detailed figures stand approximately 8" tall and feature over 25 points of articulation. Renegade comes with all new weapons based on the original Kenner designs, Cracked Tusk comes with spear and throwing disc accessories, and Scavage comes with a removable mask. We have them in a set of 3 for $59.99 and Renegade and Cracked Tusk are available individually for $21.99 each. You can also get the Case of 14 for $259.99. These 3" mini-figures are vinyl stylized versions of Walter White, Jesse Pinkman, Heisenberg, Gus Fring, Saul Goodman, and many other characters from the acclaimed series. Each figure stands 3" tall, and there are variant chase figures to discover. And because this is blind mystery box packaging, you never know what you’ll get inside! Grab the box of 20 for $179.99 or take a chance with a random single for $9.99. Known as the mercenary with a mouth for good reason, Deadpool never shuts up, has multiple voices in his head, and can’t make up his mind whether he is a hero or a villain! This Fact Files Special Edition comes with a 20-page publication history and a 1:14 scale highly detailed sculpted figure. Marvel Fact Files Special 7 Hulks out with the raging Green Goliath as a mighty metallic resin figurine, bulging with biceps, hand-crafted and painted by a team of modeling giants. The accompanying 20-page magazine is packed with a Hulk-tastic history of the founding Avenger, a titanic timeline and must-read stories from Ol' Greenskin's 50 years of rampages. This incredible collection of Star Trek models includes all the most significant ships from the five television series. Every ship has been painstakingly recreated in die-cast and high quality plastic materials and then hand painted with an incredible level of detail. #037 Andorian Cruiser, #038 Delta Flyer, and #039 Romulan Drone are in stock. “Wax on. Wax off.” Now you can relive this and other classic scenes from the original The Karate Kid film with your very own retro ReAction figures. Send Ali and Daniel on a date or have Daniel and Johnny face off in the epic final battle! We have Daniel Karate Gear, Ali, Mr. Miyagi, Kreese, and Johnny in stock for $9.99 each. We also have the chase variant Mr. Miyagi with headband for $24.99. The Vinyl Vixens have arrived! This brand new collection of dreamy statues by Vinyl Sugar and Funko stand over 9” tall on removable bases. We have Harley Quinn, Poison Ivy, and Catwoman in stock.